Biospa - Handcrafted Bath Soap (75g each x 3) This skin detox, oil clear bath soap has a natural cleansing formula which is a great detoxifier and has the ability to absorb dirt and pull out toxins from the pores. It also works as a moisturizer, prevent oily skin and clogged pores. 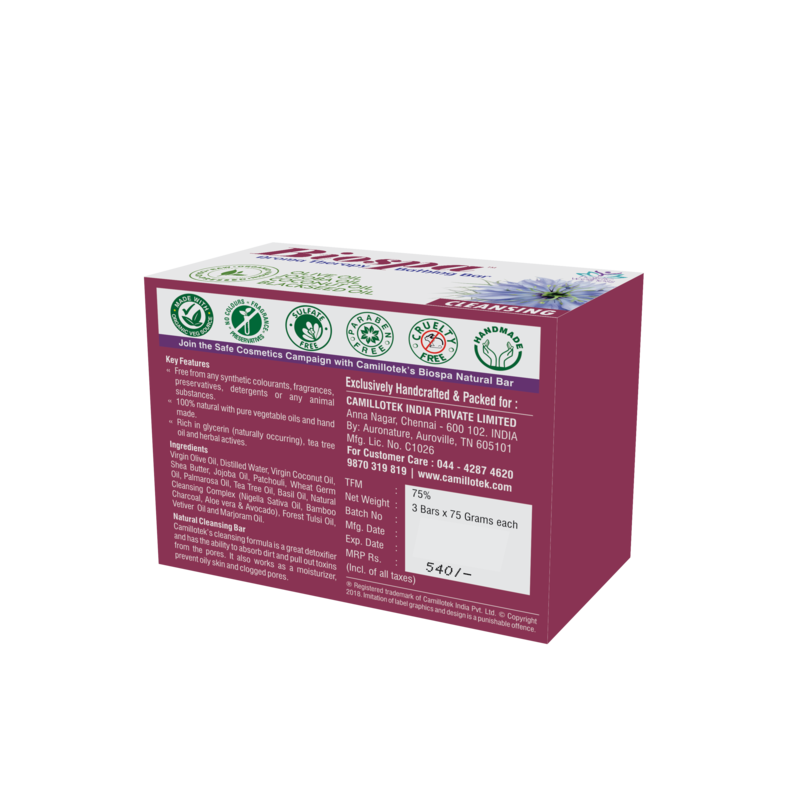 Health Benefits: • Free from any chemicals and detergents or any animal substances. • No artificial fragrances, synthetic colours, preservatives and no toxins added. • 100% certified organic and natural handmade soaps. • Fresh clean scents with Black Seed oil, virgin olive oil, jojoba oil and coconut oil. 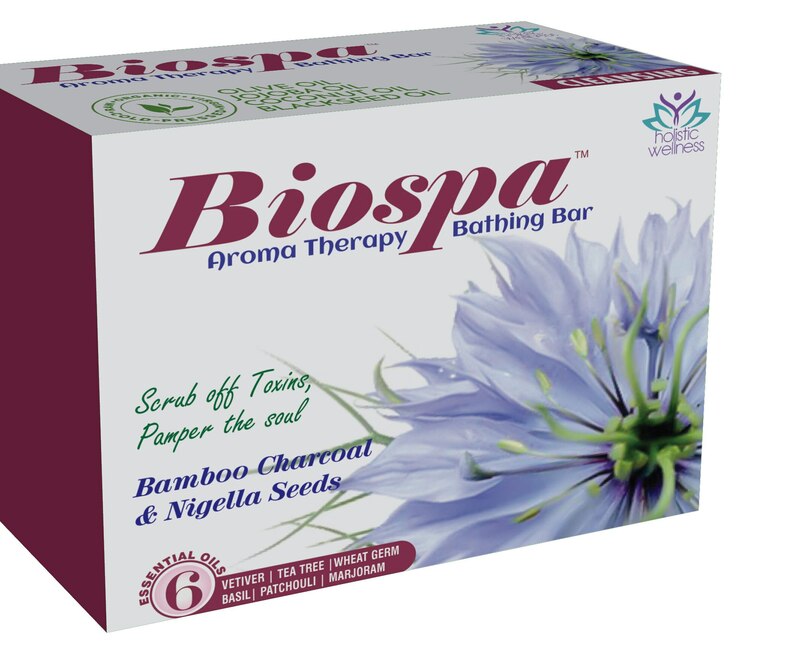 • This aromatherapy soap is enriched with 6 and more essential oils like vetiver oil, forest tulsi oil, tea tree, wheat germ, basil, marjoram oil, palmarosa oil, patchouli and these can do wonders to the skin without any side effects. • Soaps are enriched with natural glycerin, aloe vera, avocado gives brighter skin complexion and youthful looking skin.